If your child was diagnosed with a health condition that required surgery and she was given a 50/50 chance of surviving, would you skip the surgery and allow her to die? Would you do everything in your power to save and help your child? Or would you say, “you know what, that time with you will involve too much effort, too many sleepless nights, and not enough time for me to focus on other things in my life, plus you won’t feel so good, so let’s skip the surgery and just end your life now”? That’s what happens in late-term abortions. Jennifer Briscoe-Brimmage demonstrates this in her post for Scary Mommy, in which she claims the ban on abortions after 20 weeks will cause women to suffer because they won’t have enough time to decide whether or not to end their children’s lives in the womb after a prenatal diagnosis. Briscoe-Brimmage had 20 weeks and 6 days and only managed to squeeze in the abortion of her daughter after the 20 week mark. At less than 12 weeks, we had the results of our early genetic screening. Negative testing for Down’s syndrome. Negative testing for something called trisomy 13 and 18 – which come about the same way as Down’s syndrome but are fatal. Negative testing for something called Di George Syndrome, which among other things, causes fetal heart defects, developmental delays, and facial abnormalities. Either she is talking down to us or she’s an OB/GYN who is admitting that doctors don’t know everything. Regardless, Briscoe-Brimmage’s daughter is eventually diagnosed with Tetralogy of Fallot with absent pulmonary valve. The doctor says she has a 50/50 chance of surviving after birth in order to have the life-saving surgery. After that, she might need a tracheostomy and perhaps a ventilator. She could even need a feeding tube. And after that, at least two more surgeries on her heart. There was a possibility of developmental delays. This possibility, this chance, this statistic led Briscoe-Brimmage and her husband to abortion. For them, the possibility that their daughter’s life might be different from the one they had envisioned for her meant that she shouldn’t live at all. The doctor kept mentioning abortion and the 20 weeks 6 day window of opportunity to legally take the child’s life. She writes, “We ultimately decided we couldn’t bring a baby into the world to suffer” because they had imagined a different life for her. And since they had connections, (her husband is also an OB/GYN) they were able to squeeze an abortion in before the 20 week 6 day deadline in their state at the time. Because they couldn’t predict her medical future, they would deny her the opportunity to have any future at all. They would refuse her the chance to fight. They would steal from her the possibility to live any amount of life at all. But it wasn’t just their daughter who would lose out because of this decision. The choice to abort means that they have denied themselves the opportunity to care for someone in a new and completely selfless way. They missed the chance to become an advocate for people with disabilities. They walked away from the chance to become better, stronger people, with more empathy and compassion for others. All because of statistics and odds. She never does say what happened to her daughter’s body. She never says if they named her or held her, but that sentence, “at least I would get to see my baby” implies that she didn’t. It means that her daughter’s body was just taken away after the delivery. No rocking, no holding, no goodbye. How painful that must be for her to live with. We tell ourselves that kids are resilient. They can handle anything. They can handle divorce, upheaval, growing up without a mom. But for some reason we think they can’t handle a life that includes a health condition. But the truth is, we are the ones who can’t handle it. Not until we do. These children – and I know because my daughter lives with a life-threatening health condition – don’t know any other life. And that means it works for them. Like most of us, they are happy to be alive. And abortion denies them that happiness. When it comes to preborn people, we’ve come up with this excuse to kill anyone of them who is different or differently-abled. We say that we don’t want them to suffer. But if we don’t give birth to a child because we don’t want her to suffer, then why do we ever have any children at all? The truth behind aborting children with disabilities isn’t that we don’t want them to suffer, it’s that we are too afraid of what we will have to suffer, of what we will have to witness, of how we will have to change. Briscoe-Brimmage writes that she hopes some good might come out of her article “to give some meaning to her pain.” She isn’t telling her story to give meaning to her daughter’s life, but rather to make herself feel better about having aborted her daughter. The diagnosis, the pregnancy, the abortion are all about her. She just doesn’t see it. It isn’t selfish to give birth to a child who has a medical condition. It’s the most selfless thing a person can do because you will be making more sacrifices than the average parent. You will be giving up more of yourself than you ever thought that you could. You will be changing your entire life and willingly accepting your own sufferings so that someone else can live their life to the fullest potential. That’s love. Briscoe-Brimmage says that since she didn’t use Planned Parenthood to abort her daughter, she wasn’t offered the chance to donate her daughter’s heart for research or any other part of her along with it. I doubt PP is the only abortion clinic that donates (or illegally sells) fetal parts. Regardless, had their daughter died at birth rather than through abortion, they could have donated her other organs to save the lives of other children. They could have donated her heart for research to find a way to help children diagnosed with the condition in the future. But they didn’t. They didn’t just give up on their daughter, they gave up on any good that could have come from her life even if the odds were stacked against her. Brisco-Brimmage believes that had she not had those six extra days to choose to terminate that she would have had to abort or choose life with less information to go on. She, and other women, would have to decide more quickly after a diagnosis whether or not their child was worthy of life. Their doctors would be applying even more pressure to abort. 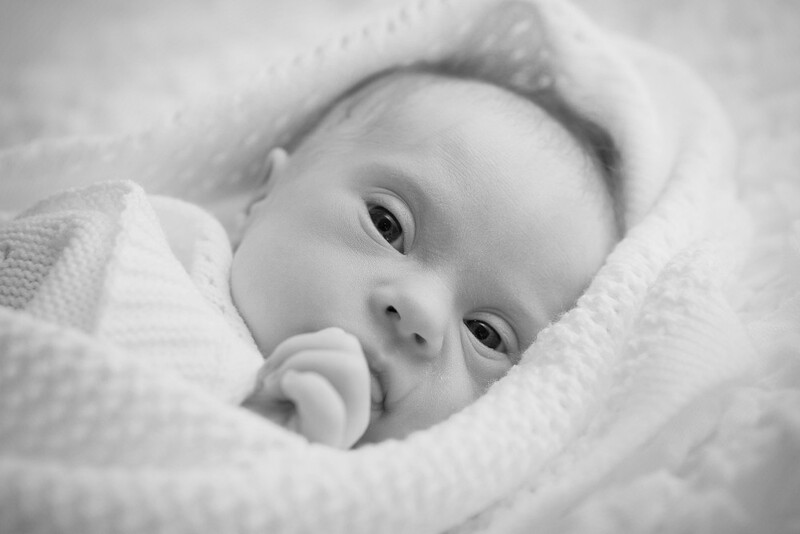 In reality, the 20-week abortion ban is a chance to stand up for the rights of preborn individuals with disabilities. If Briscoe-Brimmage had missed the deadline to legally end her child’s life, she might be on the other side of this now, grateful for her daughter’s life and wondering how she could have ever considered terminating. The lives of people with health conditions are worthy of being lived. They should have the right to their lives, no matter what Briscoe-Brimmage and others like her think. Discrimination is never a valid reasoning for ending the life of a human being. Ever.